My Thoughts: As much as people want wearables to happen, I still can’t see it … not until they are either untethered replacements for other devices (i.e. a replacement for your mobile phone, rather than an extension) or they can add very meaningful value that a.) a mobile phone can’t and b.) appeals to a very large audience. I have a FitBit. It’s nice to have, in that it’s like I have a watch now. It helps keep me somewhat active, but if I lost it I really wouldn’t care all that much. My phone is always one me and its keeping track of my daily steps. If I ran, then maybe it would be more useful. Apple Watch? Not interested. Not until it can really do things I can’t do just by looking at my phone (plus I’m an Android guy, so it pretty much will never happen for me). I did want a Moto 360, but mostly because I was curious. In the end though again it was too expensive to justify spending my money on when my Galaxy S7 Edge can do pretty much everything I want – and it still would require I haul my phone with me for the watch to work. Basically it’s as simple as this: Nothing will take off and keep momentum going unless it solves real problems. FitBit bought Pebble and killed it, and FitBit is dying itself. 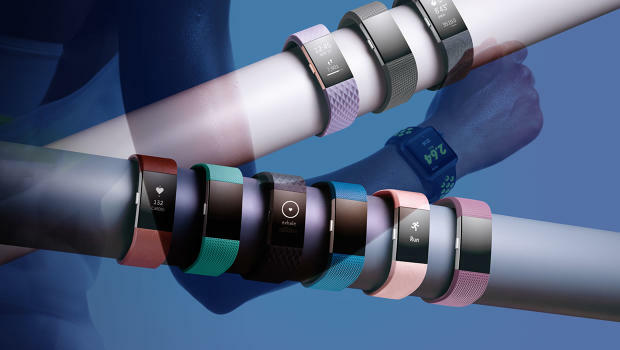 Now there are tons of other wearables coming to market to compete with FitBit, and it’s just going to be a low-priced “thing” people might wear, then get sick of. Athletic enthusiasts? Yeah that market will do well – but it will still not be broad adoption. It’s similar to the issue I see with VR. Oculus and Vive are both supposed to be awesome, but they require you to be tethered to a computer (with specs most people don’t even have). They’re also super-expensive. Gear VR has a chance maybe since it’s portable but it’s still so stripped down it doesn’t offer tremendous value over regular portable gaming experiences. The other VR sets like Cardboard? They aren’t going to do anything to build adoption other than to help people get a taste of what they could get with a high end designated device – but that taste will be so lackluster it won’t help customers make the jump. For a product to be successful now, in my opinion it needs to be portable and do something our existing devices can’t do. Wearables are failing so far in that market. Maybe they’ll make some headway in 2017, but if the decision to completely kill Pebble and the Moto 360 are any indication, I don’t think tech’s betting too big on it anymore. (P.S. I think augmented reality is where it will truly be at … if they can get it right). This year was a lackluster one for smartwatches and fitness trackers. A lot has to change for 2017 to mark a significant improvement. The smartwatch category as a whole has failed to connect with the general public. Since the start of 2015, approximately 35 million smartwatches have shipped, compared to 385 million tablets and 2.9 billion smartphones. “In 2016 . . . for every smartwatch shipped, 10 tablets and 78 smartphones will have been sold,” Above Avalon analyst Neil Cybart wrote in a recent research report.